Savvy overview of a paradigm-shifting moment in basketball, and the legends it created. In 1984, the NBA was hardly the slick hip-hop marketing juggernaut it is today. Teams were just beginning to utilize technology to improve scouting practices, operating budgets were a fraction of their present value and there was still some question as to whether a black athlete could be a successful pitchman in white suburbia. One thing, however, was the same: The draft was a crapshoot, which is why the ’84 Portland Trailblazers and 2003 Detroit Pistons inadvertently passed up transcendental talents Michael Jordan and Dwyane Wade, respectively. In sports columnist Bondy’s languorous stroll down memory lane, he shares recollections from players, coaches and team executives about that year’s now-legendary draft, as significant for the future superstars it birthed—Jordan, Hakeem Olajuwon, Charles Barkley, John Stockton—as it was for the fact that it was the last non-lottery draft. (To prevent teams from intentionally losing to improve their draft position, the league instituted a lottery system the following year.) 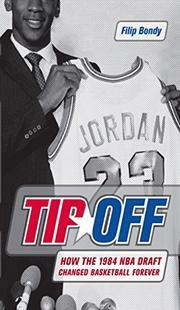 Had the draft yielded Jordan alone, it would have forever altered the game. It was also the first to choose a foreign-born player as number one (Olajuwon), and it decisively affected the fortunes of many major franchises. The author’s exhaustive interviews and player profiles aren’t particularly revelatory, but any basketball fan will enjoy reading the candid, often conflicting insights and opinions of talent evaluators concerning some of the biggest successes (and busts) in league history. Bondy doesn’t devote enough time to analyzing the significance of Olajuwon’s selection or how it relates to the later influx of foreign-born players, and overall analysis of the draft’s significance takes a back seat to key players’ stories, but overall this is a lively and enlightening look at one of the NBA’s decisive turning points. Like an all-star game: lots of style and flair, but not quite enough substance until the closing buzzer.